Capital requirements have been at the forefront of academic and policy debates since the 2008 global financial crisis. Since then, policy makers around the world have implemented various measures to regulate the financial sector. Among researchers, there is an ongoing effort to better understand the channels through which regulation affects credit markets, as well as any unintended consequences. Many policymakers and academics favor increases in capital requirements for lenders to enhance the stability of the financial system, but financial intermediaries oppose them, claiming they will raise compliance costs and threatening to increase lending rates and impair credit access as a response. As the financial crisis has made clear, regulation is absolutely crucial for markets to function properly. But the ways in which regulations are designed are also of critical importance: Regulation, if badly-designed, can be both harmful and often anticompetitive in itself, which is why large players often lobby and pressure legislators to establish barriers to entry that further entrench their lead. 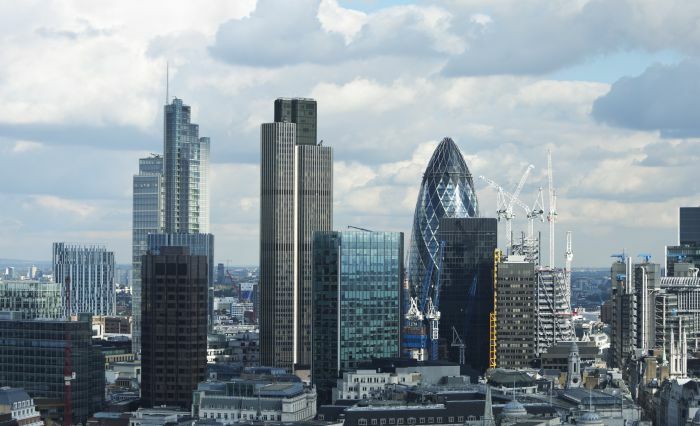 In an ongoing effort to better link capital to risk, policymakers in the UK and other developed countries have allowed lenders to invest in internal rating-based models to calculate the risk weights on their activities. However, internal rating-based models are costly to develop and maintain. As a result, a two-tier system prevails, with large lenders adopting internal rating-based models and small lenders opting for the standard regulatory approach. What are the costs of leverage regulations for lenders? How do lenders pass on these costs to borrowers? Does differential capital regulation for large and small lenders have unintended consequences, such as potential regulatory arbitrage and reduced competition? In a recent paper, I address these questions by exploiting an administrative dataset on the universe of mortgages issued in the UK in 2015-16. Mortgages represent the most important financial liability for households in developed countries and they were among the main culprits of the global financial crisis. 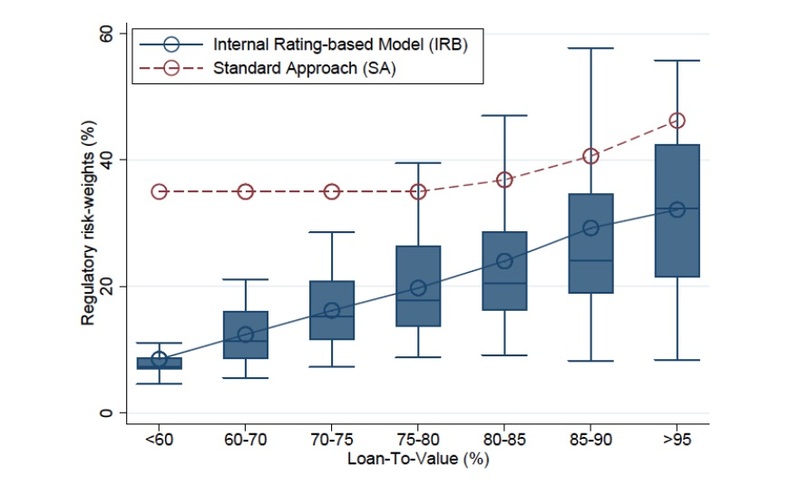 First, I provide evidence that large lenders adopting internal rating-based models have lower risk weights than small lenders for almost all mortgages they originate. I also show that the gap in risk weights is larger for mortgages with lower leverage, which I measure as the mortgage amount relative to the value of the house, commonly known as loan-to-value. As a result, large lenders have an absolute advantage for all mortgages they originate and a relative advantage for mortgage with lower leverage, all else equal. Second, I show that differences in the way banks compute their risk weights affect their competitiveness in the mortgage market. Large banks offer more competitive mortgage deals—i.e. lower rates—for low leverage mortgages, which is the segment of the market in which their relative risk weights are lower. The gap in rates between large and small banks decrease for intermediate leverage levels, and small banks offer sometimes more competitive mortgage deals for high leverage mortgages. As a result, large banks have a diversified portfolio across mortgages with differential leverage, while small banks’ business is tilted toward riskier high leverage mortgages, which is the segment in which their relative disadvantage is lower. The two-tier system leads to a situation in which higher-risk mortgages end up in the hands of lenders that are potentially less capable of bearing such risk (the small ones). The “regulatory risk weights gap” affects the ability of banks to fund themselves cheaply, which is their most important competitive edge. Furthermore, large banks may have additional factors, such as incumbent advantage and brand recognition, which give them additional power over smaller competitors. To quantify the impact of the “regulatory risk weights gap” in the mortgage market, I develop a structural model of mortgage demand and pricing inspired by the industrial organization literature on differentiated products. 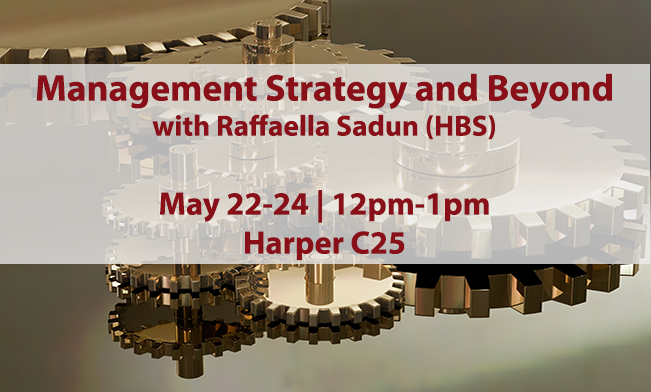 This approach allows me to capture the richness in product differentiation, households’ choices and lenders’ capital regulation that characterizes modern mortgage markets. With the estimated model, I study alternative leverage regulations and their equilibrium effects on interest rates, competition and risk in the mortgage market. I show that a common increase in capital requirement by 10 percentage points increases marginal costs by about 60 basis points in the mortgage market. This number represents an upper bound to the cost of increasing capital requirements, since the only margin of adjustment for banks in my model is the pass-through to mortgage rates. In reality, lenders can lower deposit rates, issue new equity and retain earnings. These additional margins of adjustment will likely decrease the cost of increasing capital requirements. Most importantly, the common increase in capital requirements raises concentration in the market, due to its larger effects on the small lenders as a result of the “regulatory risk weights gap.” To quantify its effects, I study two counterfactual policies. In the first scenario, I force large lenders to adopt the standard regulatory approach to compute their risk weights. In the second scenario, I provide small lenders with an internal rating-based model to compute their risk weights. I find that both the abolition of internal models for large lenders and the adoption of internal models by small lenders have a pro-competitive effects. As a result of the abolition of internal models, large lenders lose their regulatory advantage, increase interest rates and lose market shares to smaller lenders, which already adopt the standard regulatory approach. The abolition of internal models increases the capital buffer in the mortgage market, due to the higher risk weights of the standard approach, but also raises large lenders costs which are passed on to borrowers via higher interest rates, thus reducing demand and consumer surplus. 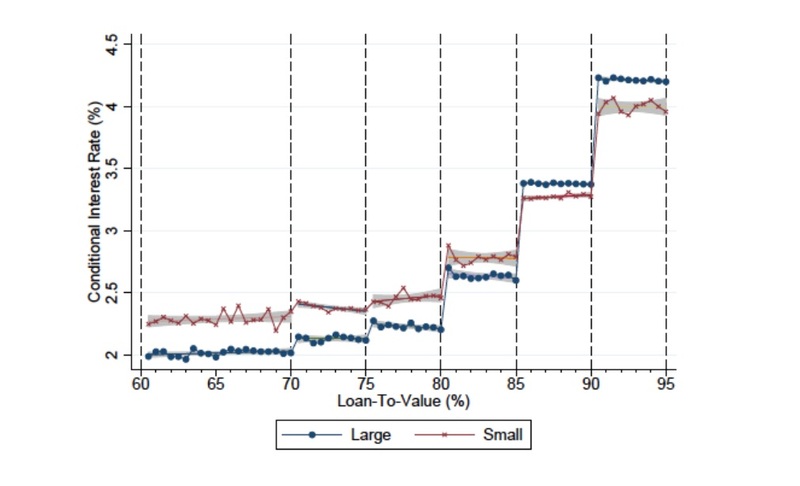 The adoption of internal models by small lenders also has positive effects on competition, even if the magnitude is smaller than in the case of the abolition of internal models. The adoption of internal models by small lenders allows them to price more competitively and gain markets shares from large lenders, with an overall small decrease in interest rates and slightly positive effects on demand and consumer surplus. The lower risk weights for small lenders lead to a reduction in the equilibrium of their capital, but the buffer remains positive and still higher than the one of large lenders, which experience almost no change as a result of the policy. Given the central role played by large lenders in the global financial crisis, this second policy suggests that the reduction of risk weights for small lenders will not threaten the stability of the system. On the contrary, the pro-competitive effect will decrease the intermediation done by large lenders, thus reducing their systemic importance. To summarize, I find that some features of the capital regulation that was designed to increase the safety of the financial system may have unintended consequences on the competitive environment. Internal rating-based models reinforce large lenders incumbent advantage and increase further concentration in the market by a significant amount. My results have implications for optimal policy design. 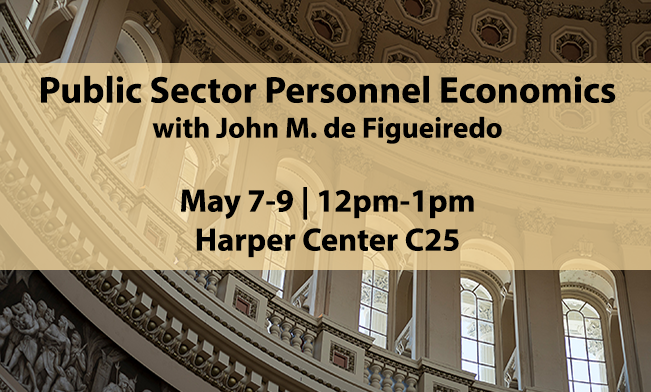 Leverage regulations should account for their impact on the competitive environment, as they affect the pass-through of policy changes and the ultimate costs and benefits for the real economy. Regulation (or lack thereof) that favor incumbents thanks to their information advantage on a broader range of customers is a phenomenon that extends beyond banking. Understanding its implications for other industries and the role that incumbents play in shaping regulation would be would be an interesting avenue for future research. Matteo Benetton is an assistant professor in the Finance Group at Haas School of Business, University of California Berkeley.